Well experienced in the field of repossession and recovery with a solid reputation for safe, undamaged collateral. Our Service Area covers a 100 mile radius of Greater Cincinnati encompassing Northern Kentucky, Southeastern Indiana up to Indianapolis over to Columbus, Ohio and all in between. Our team has been serving the community in towing and repossession services since 1983 and is committed to providing you the best experience possible. We are well-experienced in the field of repossession and recovery with a solid reputation for safe, undamaged collateral. We are bonded and fully insured with full coverage, current insurance. Our company is dedicated to the goal of providing expert car towing and repossession services at affordable prices to build lasting customer relationships for years to come. We work tirelessly to exceed expectations on each call and we guarantee we will work to beat yours too. We provide complete skip tracing to find the most elusive, non-paying customers. 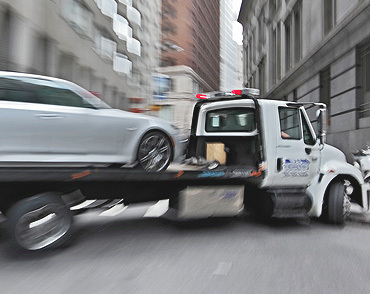 Our full-service towing and recovery services include detailed condition reports both inside and out. We are bonded and fully insured with full coverage, current insurance. Our employees are qualified and experienced; our equipment is first rate. We have a total of 11 trucks plus three acres of locked, fenced in, secure storage space available. All trucks are cell phone equipped. Our conveniently located storage facility can accommodate a 10 car transporter or any size flatbed. Our Service Area covers a 100 mile radius of Greater Cincinnati encompassing Northern Kentucky, Southeastern Indiana up to Indianapolis over to Columbus, Ohio and all in between..
We handle regular and voluntary repossessions and have a proven track record for safe, reliable recovery.